I’ve been trying to remember how many times I’ve been to Louisiana before the present visit. Definitely twice, possibly three times. Perhaps more? Once was in high summer because the sun was shining and there were crowds of people sitting on the grass banks outside the restaurant. 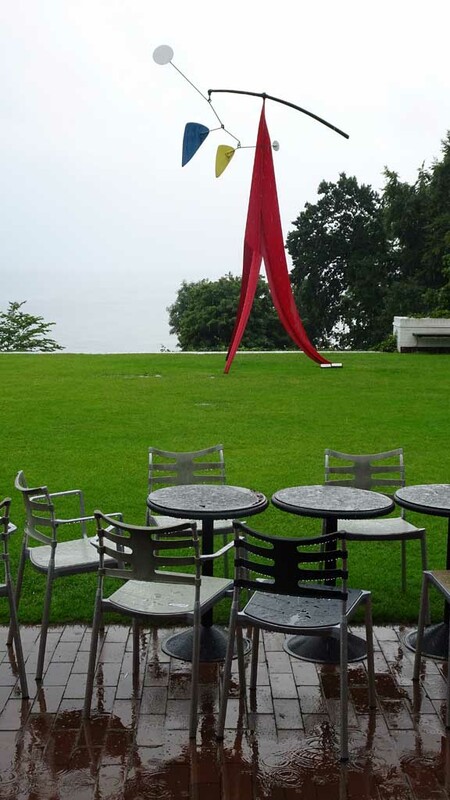 They were sunning themselves among the mobiles and sculptures and enjoying the view over the Öresund to Sweden. Another time I was there in the late autumn or early spring. The weather was grey and misty and there were few visitors. It felt like Mrs SC and I had the museum almost to ourselves. This time around, on Saturday 30th July, the weather was changeable. Rain, sun, clouds, mist, clear, and all fading in and out of one another. But that doesn’t matter so much when what you’re interested in, by and large, is indoors. Previous visits have all been day-trips north from Copenhagen as far as I remember. This time we came travelling south from Helsingør, from Elsinore. (Hence my last week’s photos.) In fact, we stayed overnight in Helsingborg on the Swedish side and took the ferry across. It takes just 20 minutes. Then the train to Humlebæk, and a short walk. We arrived at the museum just as they were opening at 11 o’clock. As we’d bought a combined entrance and round trip ticket in Helsingborg, we were able to jump the Louisiana queue. We were among the first visitors into the museum so I recommend that solution. 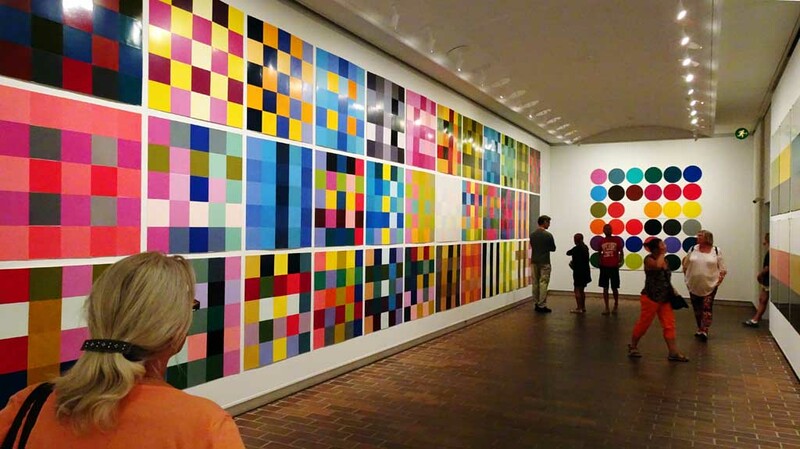 The reason I’m confused about how often I’ve visited Louisiana, probably, is because I’ve quite detailed memories of several different exhibitions. Definitely more than two. Louisiana was where I saw Jana Sterbek’s meat dress (way before Lady Gaga riffed – or ripped off – the same idea). Was that sometime in the 1990s? Louisiana was certainly where I first saw Cindy Sherman’s photography. And I think it was also where I first saw Ai Weiwei’s art. I’ve got a memory also of seeing late work by Picasso there. And then there’s the permanent collection of Giacometti statues which I go back to every time. Then there are the sculptures in the gardens. And the mezzo-American collection in one of the glass corridors. One reason for my confusion may be that, with so much space at its disposal, Louisiana always seems to be staging two or three really big exhibitions at the same time. And these are usually radically different from one another – though there may be points of contact. 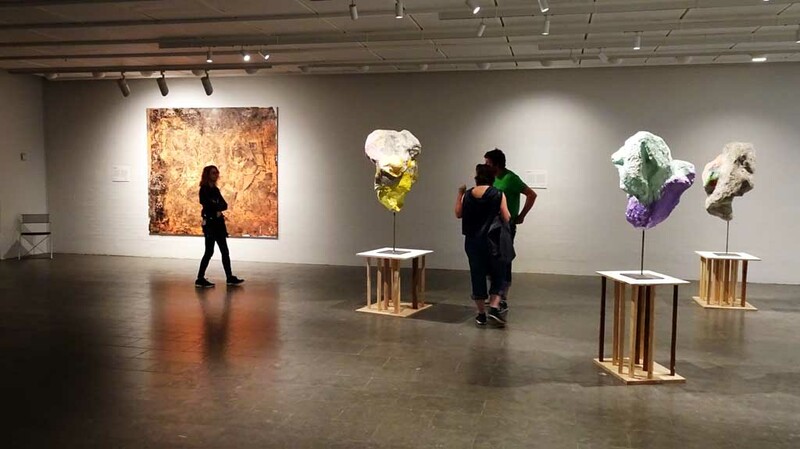 This summer they’re exhibiting a retrospective of the work of a Danish pop artist, a small collection of early Picasso drawings and a selection of the gallery’s new purchases made over the last three years. All alongside the regularly rotated permanent collection. The pop artist is Poul Gernes, who I confess I’d never heard of before. I had never consciously seen his work either, though I did recognise some of it. “Recognise” in the sense that it was generic pop art. Pop art must have figured large in the training of some of the art teachers I had in my schooldays. Blocks of colour, geometric shapes, linocut prints, found objects, sculptures and surfaces created from scrap, found prints (tire tracks and shoes for example). All these feature in the exhibition (though most of them rather better executed than my primary school self ever managed). It was quite nostalgic really. 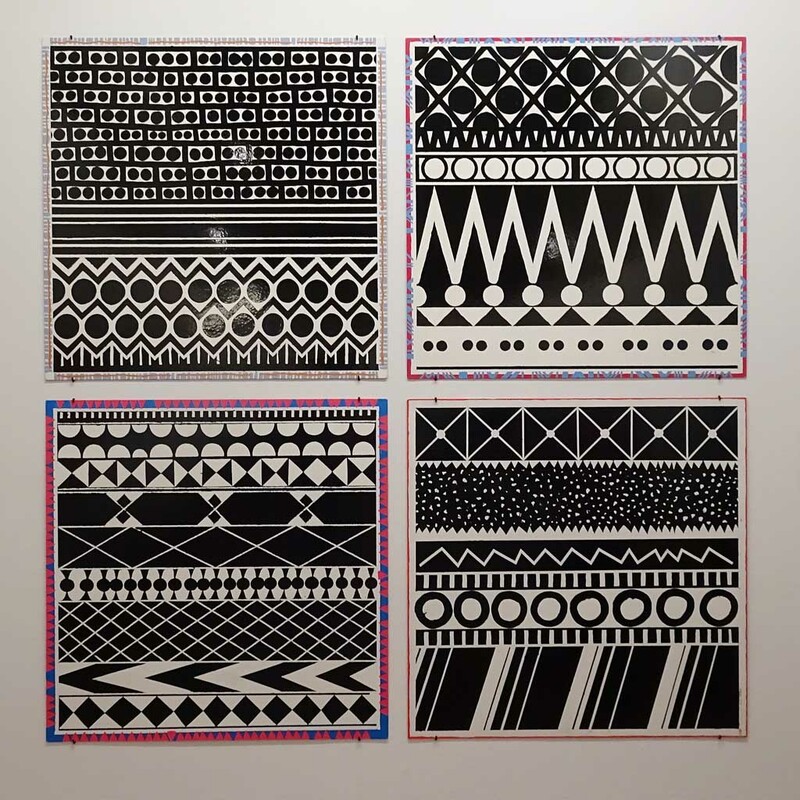 Poul Gernes clearly subscribed to the philosophy that anyone can make art (which I certainly don’t dispute). The exhibition is subtitled with the following quote. Jeg kan ikke alene, vill du vaermed? Unfortunately – and it may be another side of pop art period ideology – he also seems to have believed that art needs to be dumbed down to a lowest common denominator of ambition. 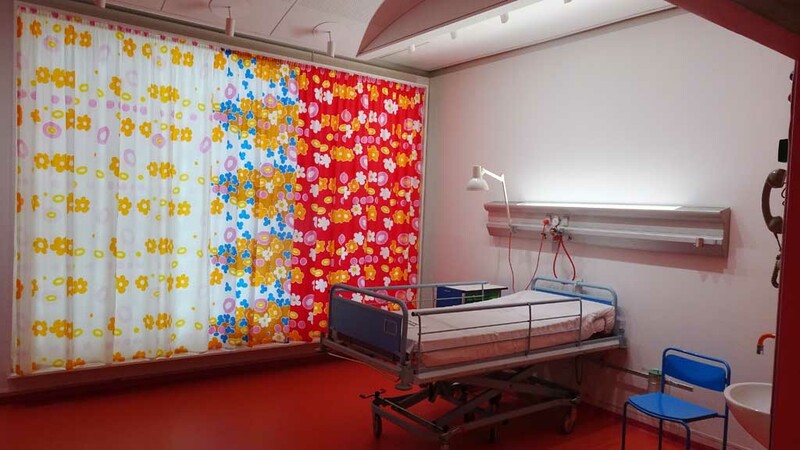 He had some ideas about the importance of colour and health too, which he got the chance to explore when he decorated an entire hospital. One of his hospital rooms was recreated for this exhibition. Three walls of the room were decorated in “healthy” colours, and the windows hung with colourful curtains. One wall – the one behind the patient’s bed – was left white. Apparently this was in order for the medical staff to better judge the colour of the patient’s face and see how healthy they were. The exhibition did not go any further into Poul Gernes’ philosophy of colour and health, which I thought a pity. I would like to have known whether he thought a red face indicative of choler or a yellow face of bile. I also wonder how far the Danish medical establishment went along with him. Apart from the Gernes retrospective Louisiana was also exhibiting Illuminations, a large selection of their new purchases made over the last three years. 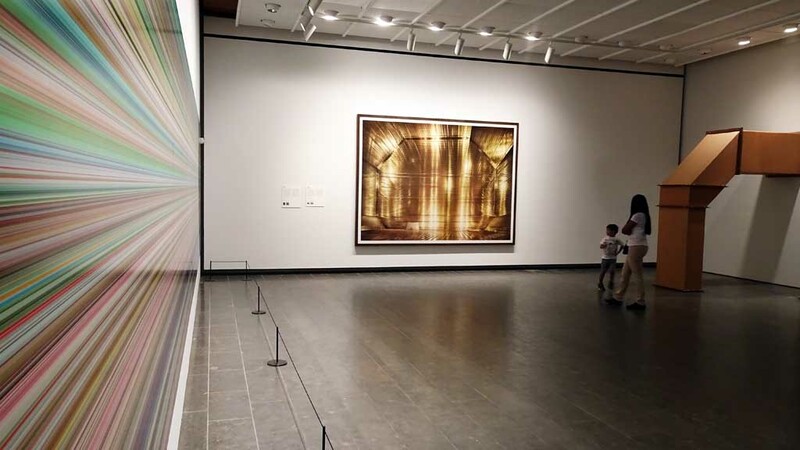 Next to this, on an adjacent wall, was a monumental golden photograph – Katar from 2012 – by Andreas Gursky. This turned out to be the interior of the cargo hold of a ship that transports liquid gas. Installations such as the all-but-pitch-black room in which the sounds of arctic icebergs grinding, melting, freezing and calving, are played from surround-sound speakers. 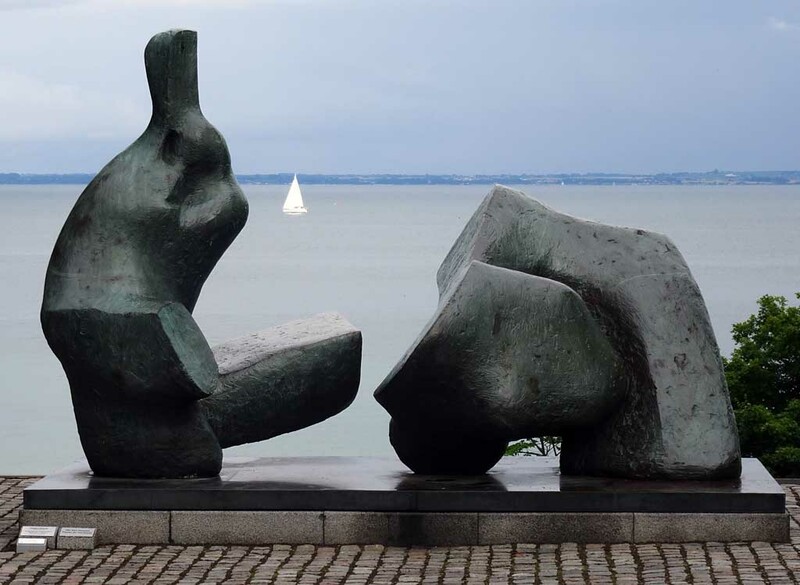 This work is Isfald (2013), by Jacob Kirkegaard. It is an almost overpowering experience to stand in the installation and listen to the soundscape created. You can experience a small fraction of this work on Louisiana’s video website. 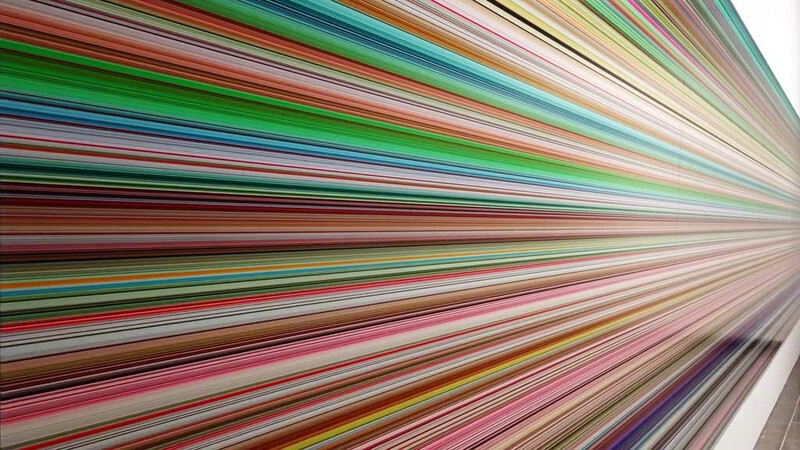 Here is an interview with Kirkegaard (along with another artist, Daren Almond). It’s impossible to mention all the works of art that Illuminations displayed. Some I liked, some I thought were interesting – even funny. And as always with modern art, there were some pieces that left me cold. Still, I think it’s good to know that all these works are now in the Museum’s collection and join the rotating permanent exhibition. 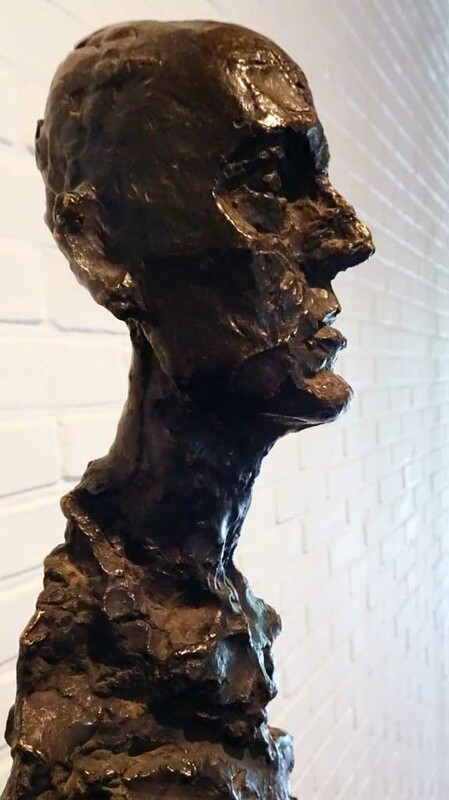 Louisiana also has an active policy of loaning out pieces to other museums for special occasions – in exchange for other pieces brought to Humlebæk for future exhibitions – so they are not hidden away by any means. Just before we left we got to experience another of Louisiana’s installations. 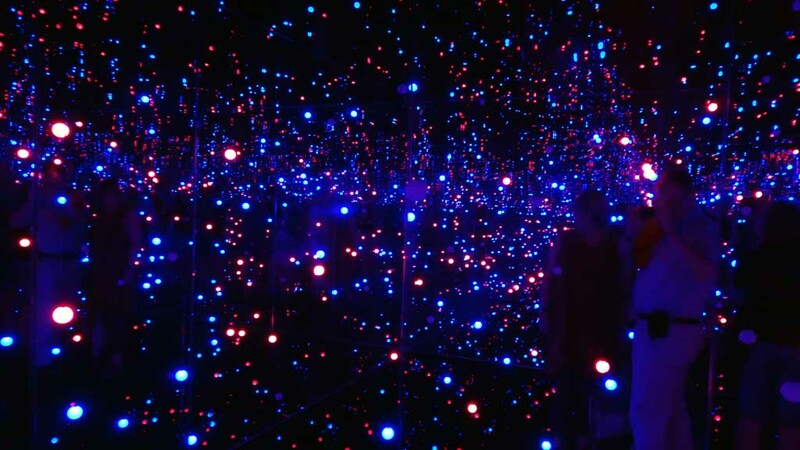 This is one from the permanent collection – Yayoi Kusama‘s Gleaming Lights of the Souls from 2008. The installation is a single space. A closed room. The walls and ceilings are mirrors and the floor is a reflecting pool of water. Hanging from the ceiling are hundreds of lamps that slowly change colour. You stand in the middle on a narrow platform and it’s like you are flying among the lights. It’s a surreal but serene experience. Each group – of only four people – get to stand for one minute in the room with the door shut. It’s funny, but waiting outside to get in the minute passes so slowly, inside absorbed by the experience the minute is far too short. As soon as you come out you want to get back in line and experience it all over again. And again. Unless of course your feet are so tired after seven hours of wandering the halls and galleries that all you really want to do is sit down. It’s a 10 minute walk back to the station, but you can sit on the train to Helsingør. Then you can sit on the ferry to Helsingborg. And then you are in better shape to argue your way back into Sweden through the new immigration control… but that’s another story.